The world music festival known as FloydFest announced earlier today their 2019 lineup and judging by the mixed bag of artists that will grace the stages will make any music fan happy to attend. The five day music event will take place July 24th through the 28th and will be held in the beautiful Blue Ridge Mountains of Southwest Virginia. Floydfest 2019 will feature sets from headliners like Phil Lesh & The Terrapin Family Band, The String Cheese Incident and Brandi Carlile. Other artists that will perform in Virginia are Tyler Childers, Margo Price, Fantastic Negrito, Keller Williams’ Grateful Grass featuring Love Canon, Karl Denson’s Tiny Universe, Acoustic Syndicate, Songs From The Road Band, Kaleta & Super Yamba Band, Trout Steak Revival, Jon Stickley Trio. 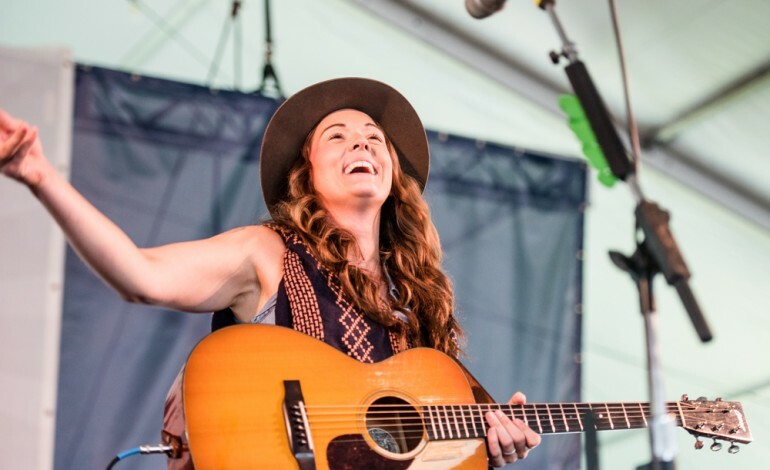 Singer and songwriter Brandi Carlile has kept herself busy during 2018. Not only did she grace stages of multiple festivals throughout the year and even created her own all female-fronted festival, called the Girls Just Wanna Weekend, which will begin early next year, but she also released her sixth studio album. The record, By The Way, I Forgive You, came out back in February and includes the single, “The Joke.” Before performing at FloydFest, Carlile will also perform at the 32nd annual Old Settler’s Music Festival in Texas during the weekend of April 11th. Margo Price, the country singer based in Nashville released her second album, All American Made back in October of 2017. It followed her surprised release of a four-song ep called Weakness. Tickets for the festival are available and can be purchased through the official website for FloydFest. Those who wish to attend can pick from three-day general passes ($180), four-day general passes ($205) and five-day general passes ($230). Music fans who would like to camp throughout the event can purchase on-site camping tickets that range from $55 – $325). There are also High Roller VIP passes available as well as tickets for all the outdoor adventures that will take place over the course of the five day festival including canoeing, kayaking, and tubing. For the families who wish to attend and experience with young kids, don’t worry. Kids are welcome and will have fun for there are kid activities that will keep them entertained. The five day festival began in 2002 and features music of all genres and from all over the world including rock, bluegrass, reggae, folk, Yiddish, Cajun, or Zydeco, African, Appalachian, and other world music performers. Music isn’t the only thing that the festival is known for, it also features local arts and crafts, dance workshops, morning yoga lessons, story telling, poetry readings as well as on-site camping.